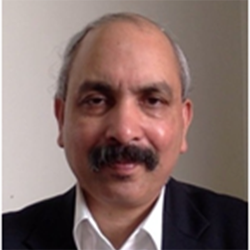 Ajit has over three decades of corporate experience in food, catering, hospitality, and engineering. He was MD India for Sky Gourmet Catering, a wholly owned subsidiary of Gate Group, Switzerland, global leader in airline catering. Earlier, he worked with the Taj Group, a Tata company, in senior positions spanning Operations, Business Development and Quality. His track record includes setting up, scaling, turning around and growing businesses. Ajit holds a PhD in Services Management from Mumbai University, with post graduate degree in Industrial Engineering from NITIE, Mumbai and an Honors degree (Gold Medalist) in Mechanical Engineering from NIT, Jaipur.He has been a guest faculty at IIM Ahmedabad, IIM,Indore,TMTC and MDI.